Even though we have only just announced our 2011 winner, it's time to start thinking about what to carve for 2012's competition! In a bid to encourage more entrants, this year's competition will be online only. Entries can be submitted from 23 January via the dedicated website. You will be able to find more information regarding entry at on the IWCOTY website where you will find detailed instructions on how to enter, including how to prepare and upload your images. This year the online-only competition will be bigger and better, reaching more carvers than ever before. We will be introducing bigger prizes and more opportunities to win, with special awards presented for the best use of carving techniques, as well as prizes for the best carvings per category, and an overall prize for Woodcarver of the Year. 1. Categories include: In the Round, Relief, Birds & Animals, and Caricature & Whimsy. The winners of each category will go forward for the final selection of the prestigious overall title of 'Woodcarver of the Year'. 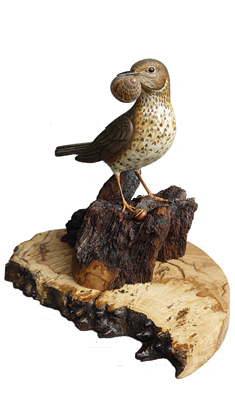 There is a fantastic £2, 750 worth of prizes up for grabs from some of the leading names in woodcarving. The competition will be judged by leading figures in the woodcarving world. 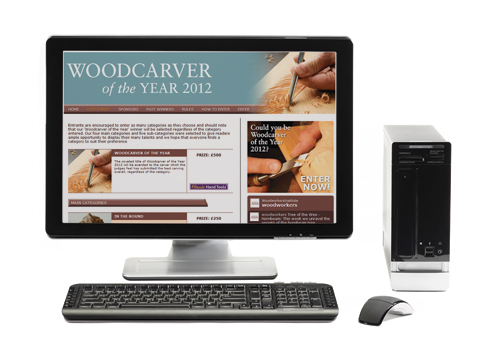 The stakes are higher than ever, and in September 2012, someone will be crowned Woodcarver of the Year. The competition went live on 23 January, so you can begin to submit entries now. The deadline for entries is 3 September 2012. Any entries received after this date will not be considered. The coveted title of Woodcarver of the Year 2012 will be awarded to the carver which the judges feel has submitted the best carving overall, regardless of the category.